Ten years after its London Fashion Week debut, it’s hard to distinguish Britain’s beloved high street brand from the “proper” designers on the LFW roster. Inspired by the Seventies and English heritage with a rebellious streak, the collection was unkempt with a tomboy edge; rolled up sleeves, loosely belted and a little dishevelled. 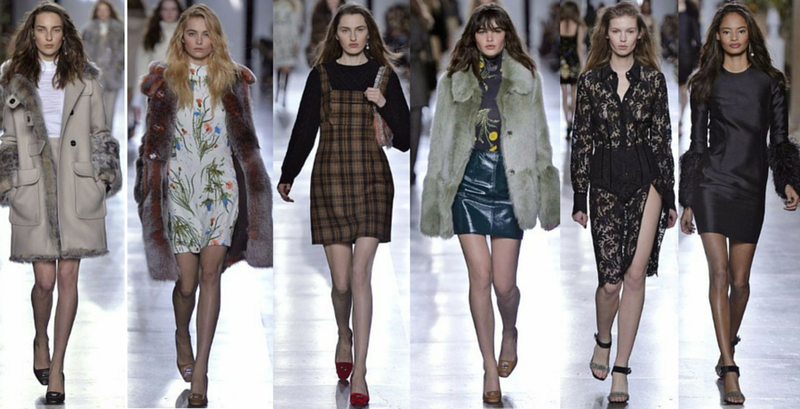 Pinafores layered over knits, chunky Aryan roll necks and nostalgic Seventies floral prints were the look for day while ruched leather and marabou trimmed prom dresses were the look for night. A collection for the cool girls, Topshop Unique always leaves me coveting the entire collection. This season is no different, I’ll have one of everything please.